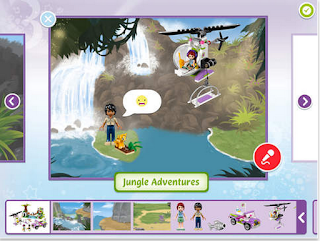 Lego Friends Story Maker is a good app that kids (ages 6+) can use to unleash their creativity through digital storytelling activities that involve the creation, writing, and publishing of visually appealing multimedia stories. This free app has a kids-friendly interface and provides a set of easy tools such as drag and drop, stickers, text, emoticons, voice recording and backgrounds that make every story come alive. Drag and drop 100+ LEGO Friends play sets, accessories, pets - and of course Mia, Emma, Andrea, Stephanie, Olivia and all the other Heartlake City mini-dolls - for limitless storytelling fun! Kickstart your storytelling with the Story Starters feature. Bring your stories to life with cute emoticons and speech bubbles. Publish and share without exporting to iBooks: just use the new In-app book reader. You can find all your stories on your bookshelf in the app. Turn and scale sets and accessories just the way you want. Decorate with dozens of different stickers - music, butterflies, paw prints, hearts, and stars. Write or record your story: play all the parts yourself, or ask your friends to help you! 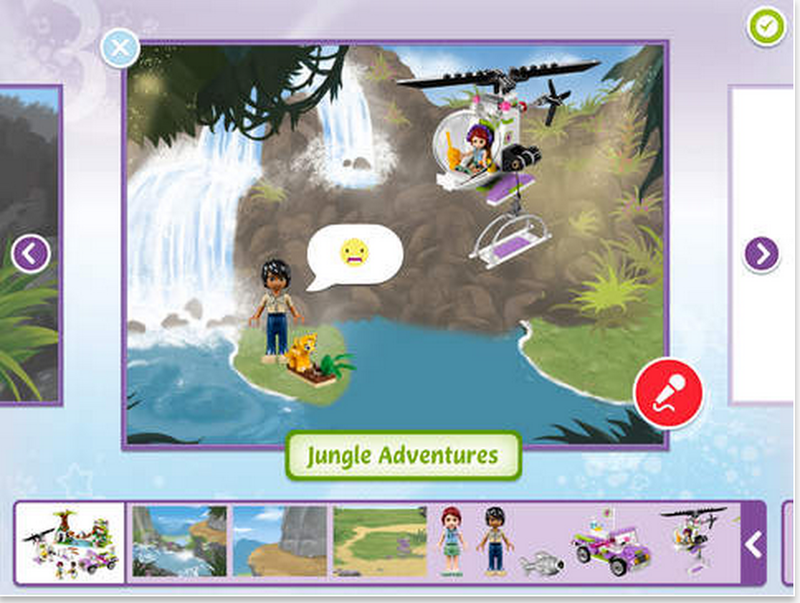 Lego Friends Story Maker is available for both Android and iPad.